Tonica (population 685) is located in north-central Illinois. The southwestern LaSalle County town is found at the intersection of Illinois Route 251 and Illinois Route 178. Interstate Highway 39 runs just west of Tonica. Bailey Creek flows through the town as well. A city for reference would be LaSalle located 8 miles due north of Tonica. 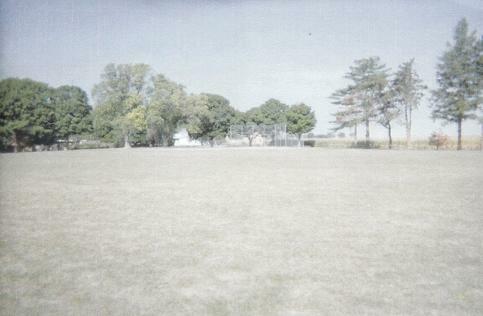 According to the web site http://villageoftonica.tripod.com/ Tonica was founded in 1853 as a stop along the Illinois Central Railroad line. A man named A.J. West named the town Tonica after a Native American Chief named Tonica back in his home state of New York. The residents of Tonica probably started a high school and educational system for their children in the late 1800s. 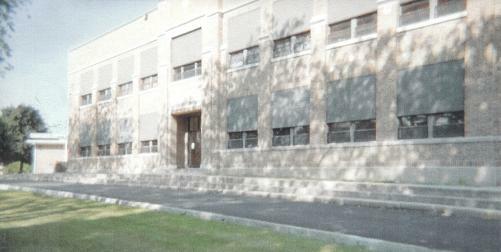 The town supported schooling for grades K - 12 for many decades. 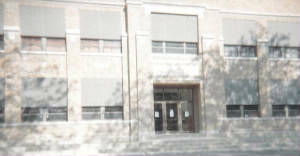 It was after the 1990 school year that Tonica High School was deactivated. The Tonica high school-aged kids now earn their diplomas in LaSalle. Tonica still supports its own school as its kids in grades PK - 8 attend Tonica Grade School, which uses the former Tonica High School building as part of its facility, as evidenced by photos on this page..
"The class of 1952 graduated a class of 18 girls and no boys. As freshman, we were a class of 26 with only two boys -- by the end of the first semester, the two boys had quit school and we became a class of girls for the next three and a half years. Some of the girls moved and others dropped out so by the time we graduated in 1952 there were only 18 girls left. The high school coach at that time was Mr. Herbert Hungerford, so needless to say, we didn't have much in sports during those years. At that time there were no girls sports offered in high school. Poor Mr. Hungerford was lost for words with not many boys available for sports as when we were juniors and seniors, our class had nothing to offer !!" An article regarding the students of Tonica High School from 1874 is available at http://genealogytrails.com/ill/lasalle/TonicaNews.html#Roll . The Tonica High School Warriors were very competitve on many different levels in athletics as a member of the Tri-County Conference. The school won IHSA hardware (www.ihsa.org) in the boys sports of basketball, cross country, and track & field. The Lady Warriors won a District title in volleyball, however, there is no other mention of their other successful seasons. The girls also competed in basketball and track & field. The best of the THS seasons are listed below. The Tonica boys' basketball program won one Regional and seven District Titles. 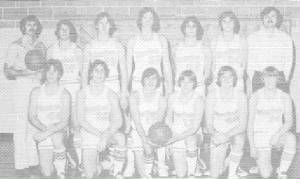 Unfortunately, the coach's names and team records for these and other great teams in Tonica HS history are not available. Five teams made it to the title game of the prestigious Tri-County Conference Tournament. The 1954-55 boys faired the best, winning their District and Regional titles before falling in the Sectional. This placed Tonica in the top 64 teams in the state for that year. Along with Herbert Hungerford, another great coach, Ron Oloffson, started his coaching career at Tonica and went onto have a career coaching record of over 300 wins. One of the best players to grace the hardwood of Tonica was Jon Janz. His 50 points in a January 19, 1971 game against Sparland is a school record. The Girls Volleyball team of 1980-81 won the only girl's IHSA hardware as District Champions. The record and coach's name of this team, and other teams in Lady Warrior history, are not available. Mike Clark did not rest on his laurels earned in cross country. He carried his distance ability over into the track season as well. The Wildcat thinclad brought home two medals from state meet competition. This included a Gold Medal in the 880 yard run in the 1980-81 season. The track at Tonica High School was 330 yards long instead of the norm of 440 yards. This fact makes Mike's accomplishment even more incredible. Mike was coached by his father, Coach Alex Clark, who also coached nearly every other sport at the school. Mike Clark's great feats (feets?) are listed below. 1980-81 Mike Clark 880 Yard Run STATE CHAMPION!! *Mike Clark (Class of 1981) - After his gold medal performance in the state track meet Mike went on to star at Illinois State University in the same sport. He now serves as Assistant Principal at Normal Community High School.